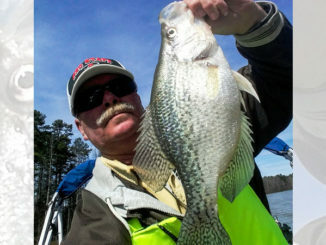 Crappie pro Rod King said slabs get surprisingly shallow in February on Falls of Neuse Lake — and mostly they stay shallow untilt he spawn. 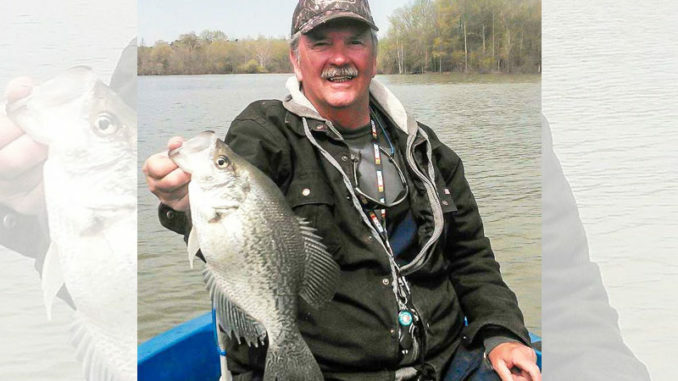 According to veteran fisherman Rod King of Durham, N.C., crappie fishing at Falls of the Neuse Lake this month hinges on sunlight and wind direction. While persistent cold fronts will keep fish buried in the river channel, King looks for three or four days of south wind and sunshine to move slabs into the creek arms much earlier than many anglers might think. When this happens, King heads to the back of one these creeks — normally in the mid-lake section between the Cheek Road bridge and NC 50 — to check water temperatures. 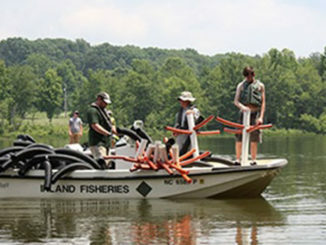 If he reads 40 to 44 degrees, King puts out an 8- to 16-rod tight-line spread of 16-foot rods. Staying close to the middle of the creek, he may start in as little as 2 to 3 feet of water. He’s looking for crappie sunning like a snake on a rock, taking advantage of the warmest water in the lake. Although the water is temptingly shallow, crappie will not begin to spawn until the temperature is much warmer. King “oozes”, as he says, running his trolling motor just high enough to make forward progress so the crappie have enough time to grab his 1/8- to 1/16-ounce jigs and minnows. The lures will hang straight down despite the light weight. King prefers chartreuse or orange jigheads on sunny days and black or blue in darker weather. King will run his rigs in the shallow stump fields lining the river channel until the crappie move deeper into the channel. Then, he continues as he did before the warm front, going low and slow as he maneuvers his jigs a couple of feet above the crappie he’s marking in 15 to 20 feet of water, typically in the channel bends. 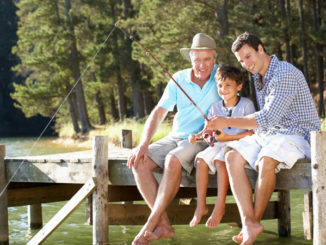 Dusty Wilson of Raleigh, N.C., is a lifelong outdoorsman. 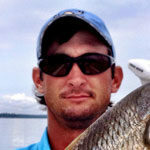 He is the manager of Tarheel Nursery in Angier and can be followed on his blog at InsideNCFishing.com.